CD50 is a deep penetrating timber oil designed to protect timber from the inside out. CD50 helps stabilise timber, so reduces warping, cupping and splitting. 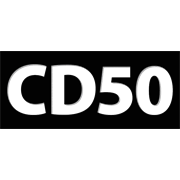 As CD50 does not form a film, there is no peeling or flaking, and maintenance is easy. CD50 also helps control the growth of mould and fungus, and rot bacteria in the timber.